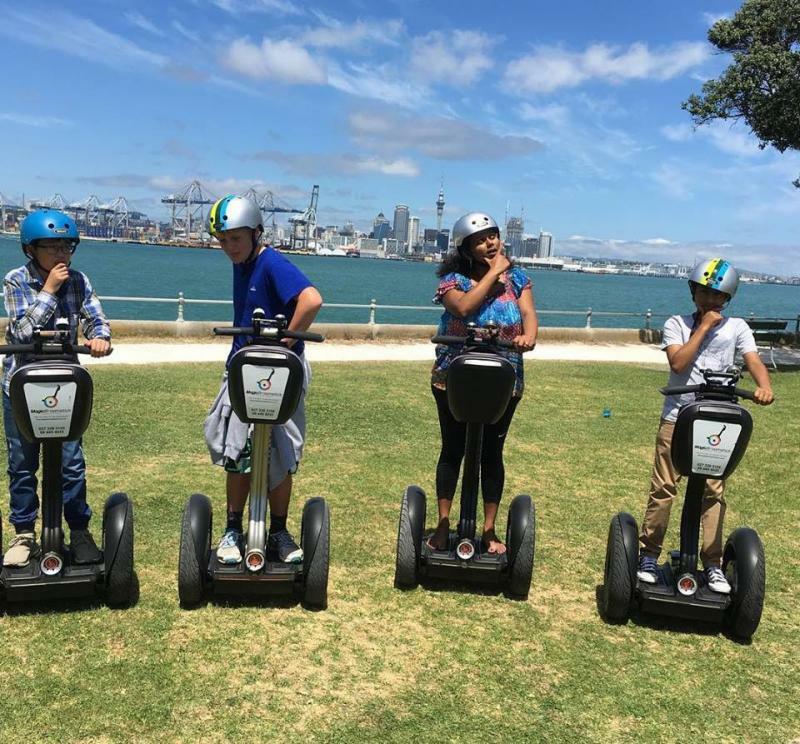 Magic Broomstick Tours provide a variety of Segway Experiences in Devonport. 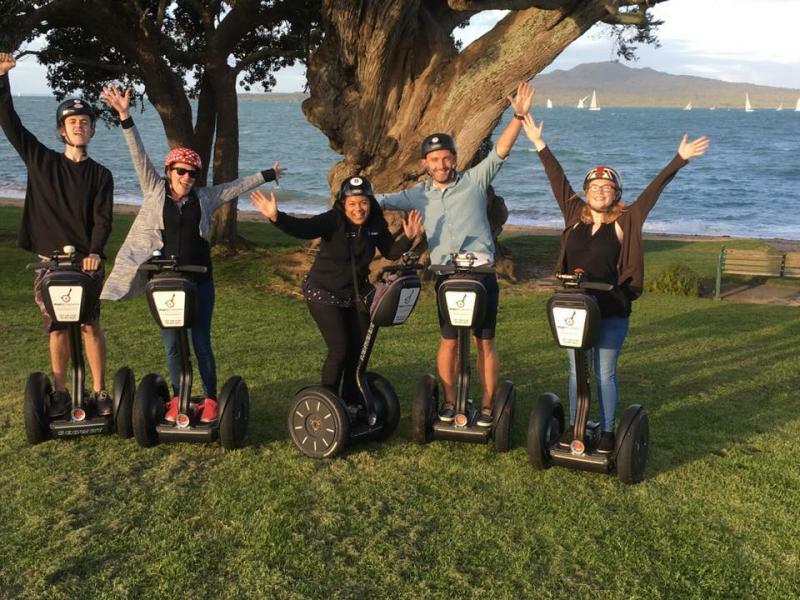 We have FUN Segway Games ideal for Birthday parties or perhaps Team Building for your staff. 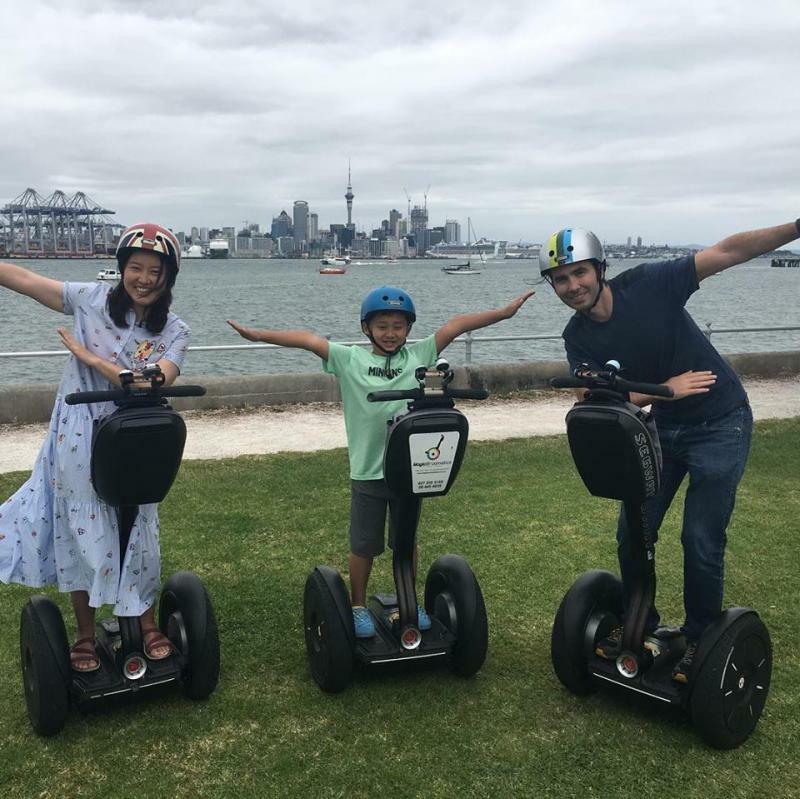 We have a short FUN Family ride for Parents and Children from 10 years old or a little longer gives you a Taste of the awesome sensation of gliding up hills and of course down the other side. . For those of you over 13 years old who would like to have a longer more exciting ride we have tours that go to the Summit of our volcanic cones,. 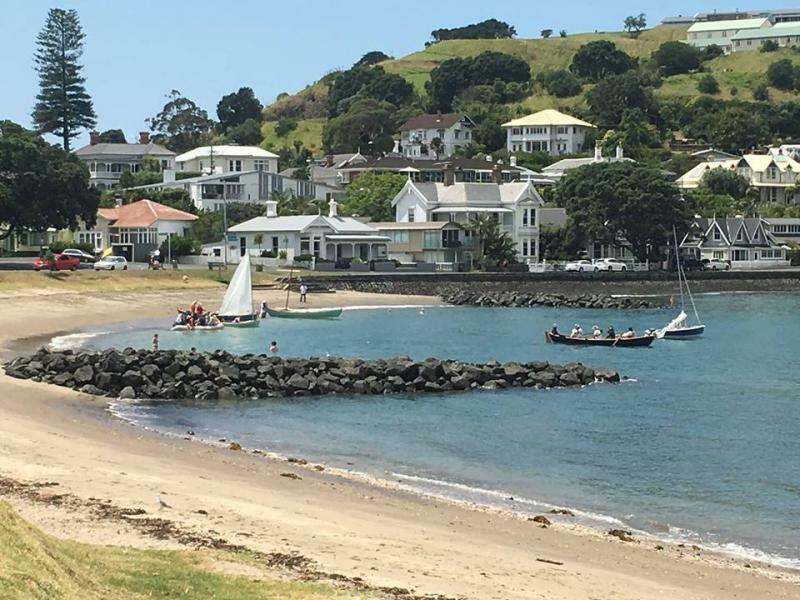 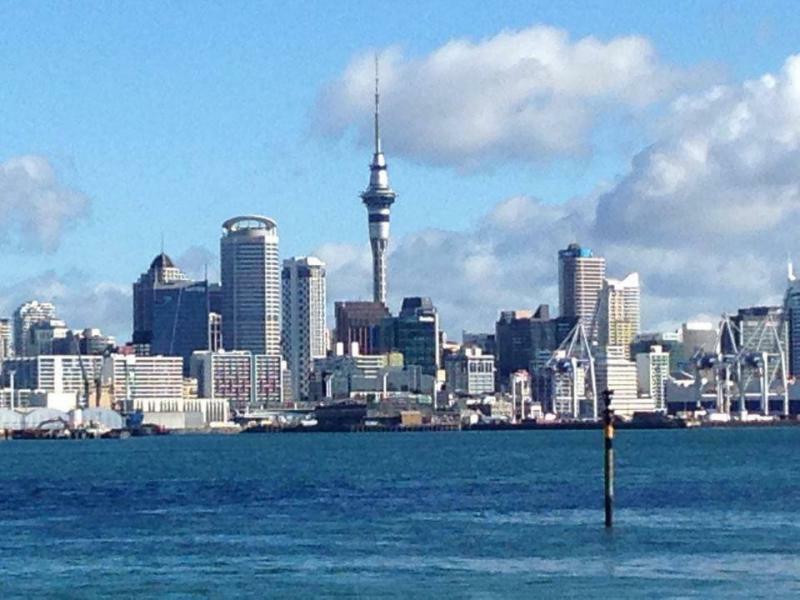 We'll explore the historic sites, the beaches and parks and enjoy the stunning views of Auckland City and the Hauraki Gulf that make Devonport village a place not to be missed while in Auckland. 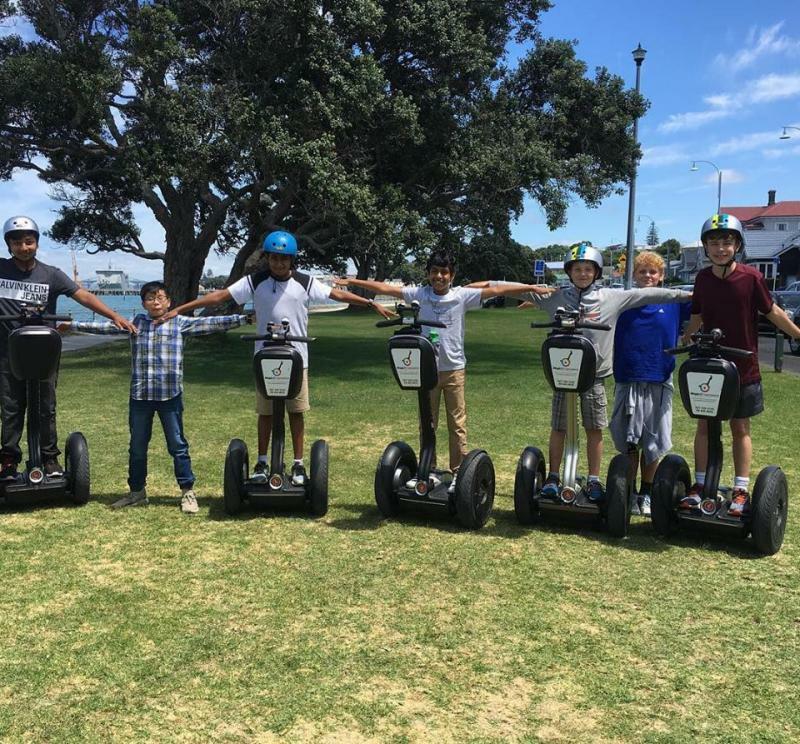 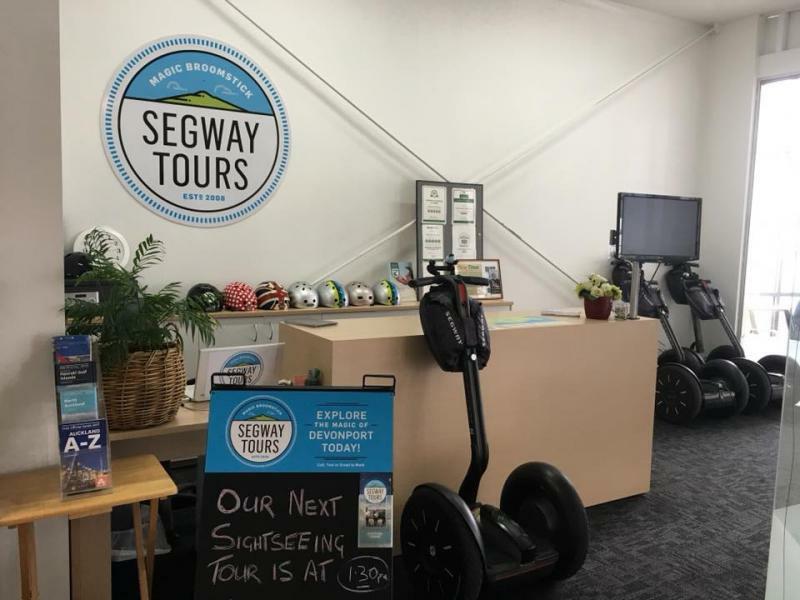 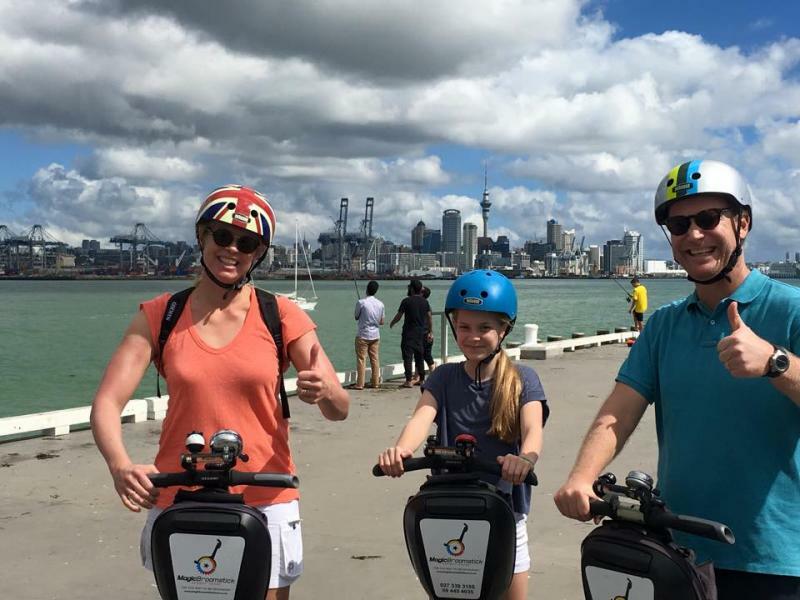 Segway Tours and Rides are an ideal way to entertain friends from out of town or experience something new and FUN for yourself, family and friends. 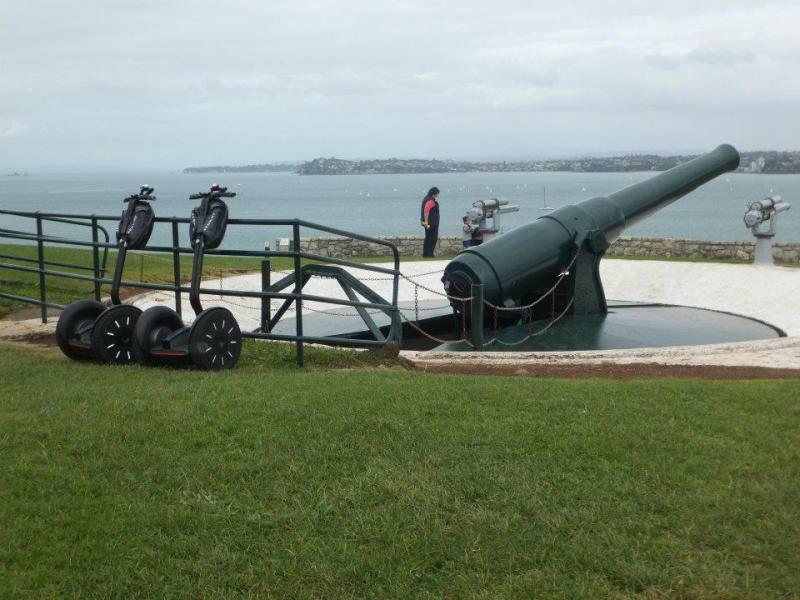 We're located beside the Ferry Ticket Office in the Devonport Ferry Terminal. 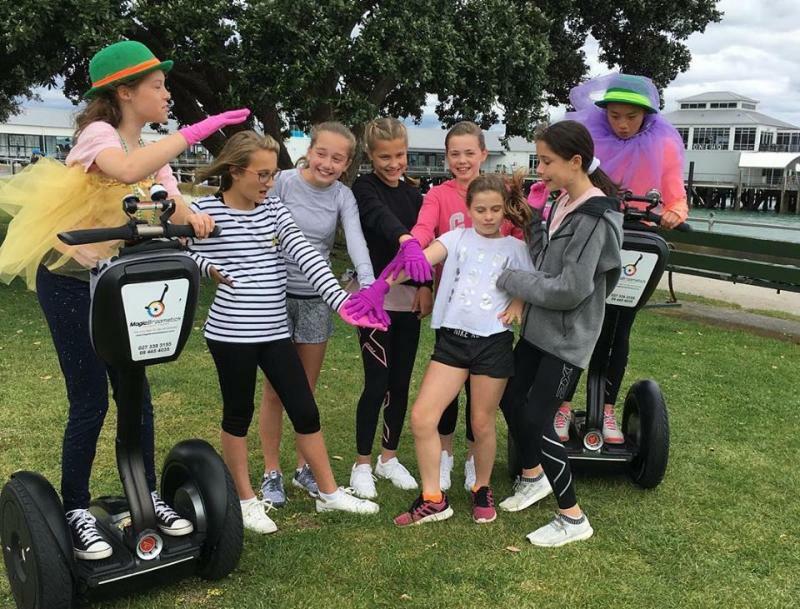 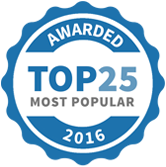 Magic Broomstick Segway Tours has been selected as one of our Most Popular Kids Activities! 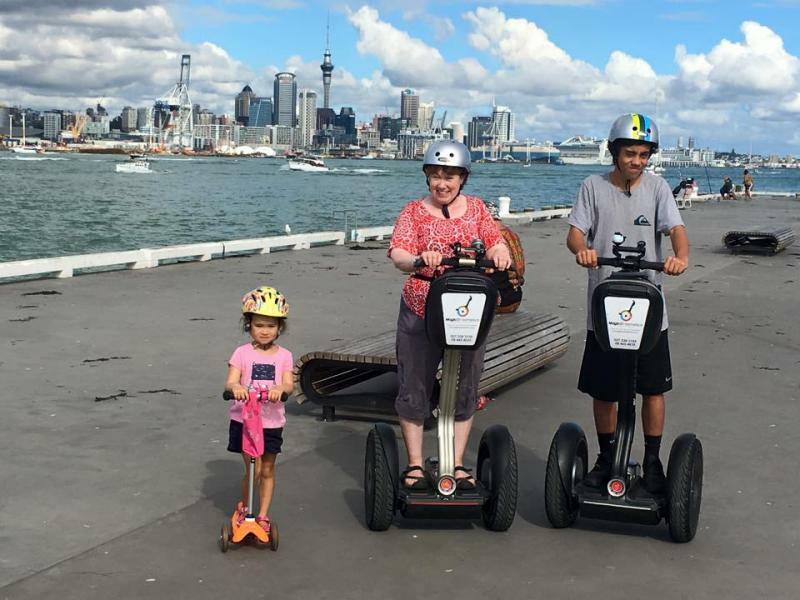 Whizzed around and up and down with these two lovely lads from Brisbane - Sam and Harry. 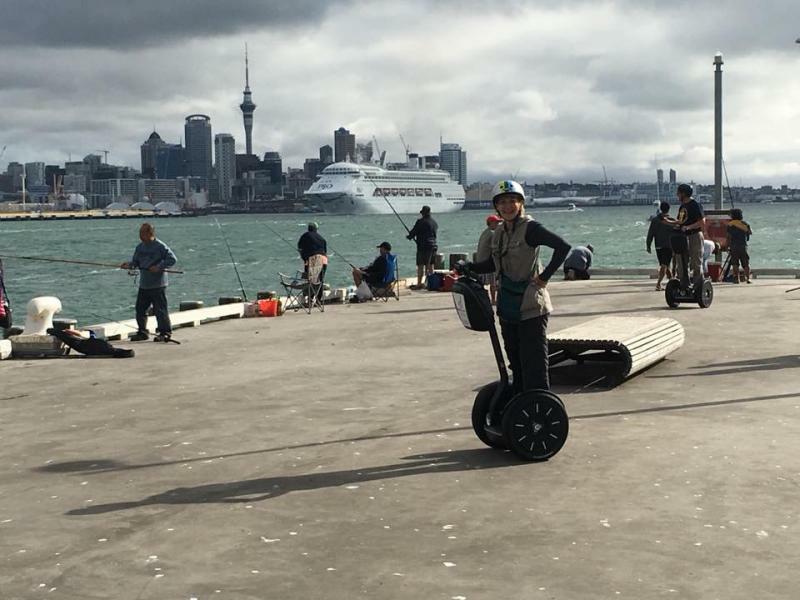 Farewell NZ, we had a ball! 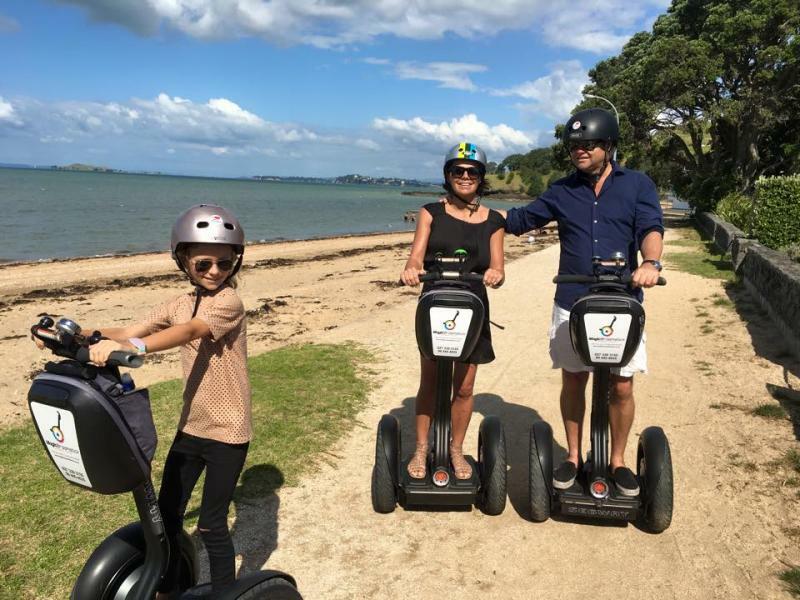 Nic and Jen from London finished off their honeymoon here with a segway. 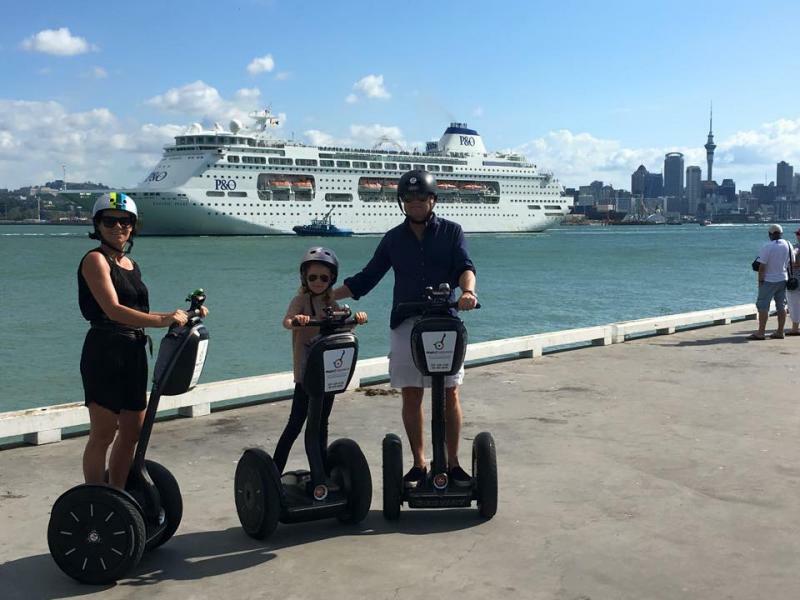 Safe travels home you two.